A balanced diet is chocolate in both hands – preferably Belgian chocolate. Belgium’s association with chocolate goes back as far as the 17th century, when the country was under Spanish occupation shortly after chocolate had been brought to Europe from South America. Later on, its colonial connection with the Congo resulted in early, unlimited access to African cocoa and the ability to produce high-quality chocolate with superior taste before anyone else. There are thousands of chocolate houses and companies in Belgium, producing more than 200.000 tons a year. Recipes have been passed down through families for generations, but innovation is part of the passion, so chocolatiers keep amazing the world with new types, recipes and pairings. Tourists love Belgium’s signature chocolate confection – the praline or chocolate bonbon – but there’s a lot more to discover. 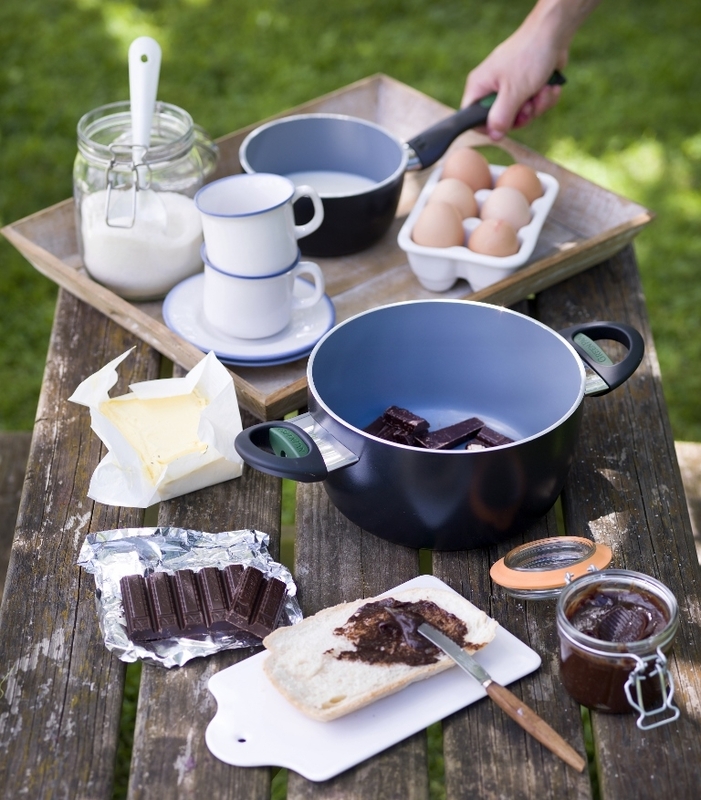 Chocolate can be combined with a range of – often surprising – food groups (meat! goat cheese! olives! wine!) and it is a delicious addition for appetizers, dinners and desserts. Spread the love for chocolate with this super simple recipe! Melt the chocolate and the butter in a casserole or double boiler over a medium flame. Once the chocolate and butter are melted, take it off the heat and add the cocoa powder. Stir to combine, making sure there are no lumps. Add the salt. At this stage the spread will be very liquid, but it will set after a couple of hours at room temperature. Stored in a jar with a lid this will keep at least 4 weeks. P.S. Did you know chocolate has numerous health benefits? It boosts hearth health and mood, helps in quieting coughs, protects the skin from UV damage… Great news for all you sweet tooths out there!